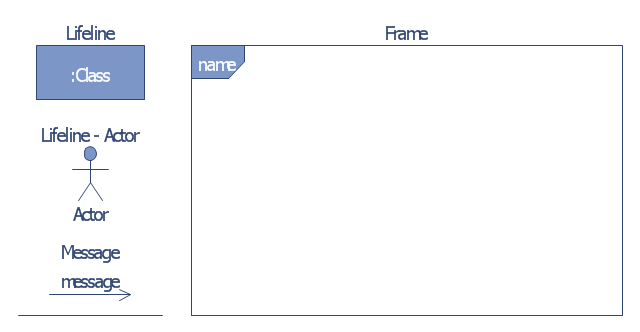 The vector stencils library "Bank UML communication diagram" contains 4 shapes for drawing UML communication (collaboration) diagrams. 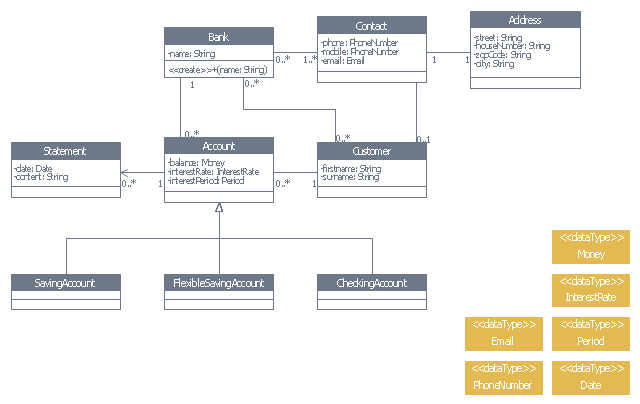 "A communication diagram in the Unified Modeling Language (UML) 2.0, is a simplified version of the UML 1.x collaboration diagram. 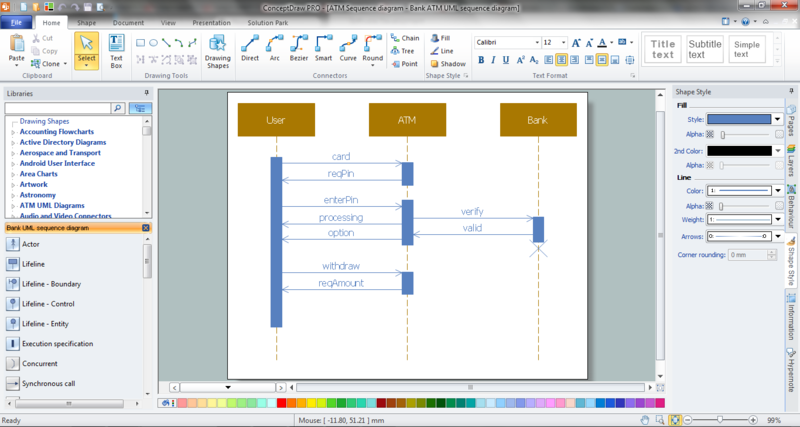 A Communication diagram models the interactions between objects or parts in terms of sequenced messages. 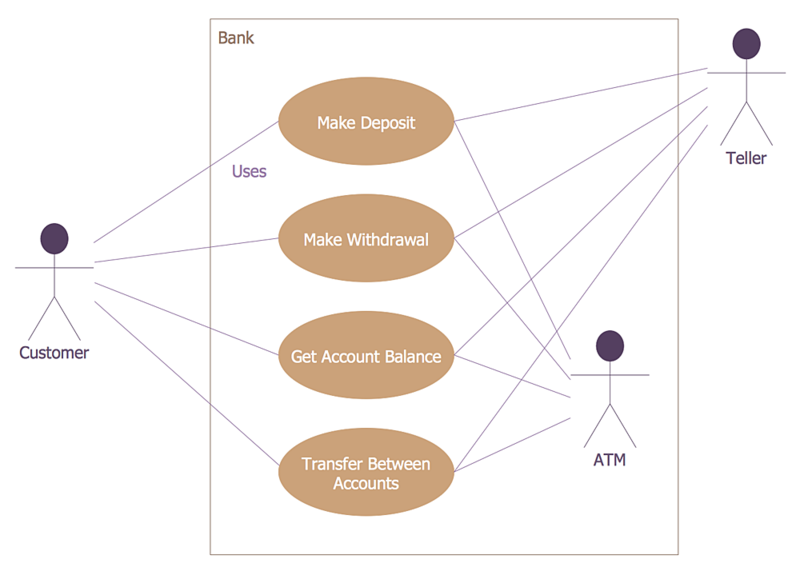 Communication diagrams represent a combination of information taken from Class, Sequence, and Use Case Diagrams describing both the static structure and dynamic behavior of a system. 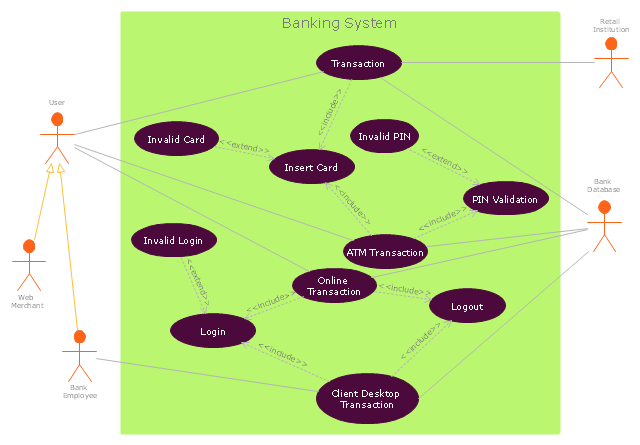 The vector stencils library "Bank UML class diagram" contains 19 shapes for drawing UML class diagrams. 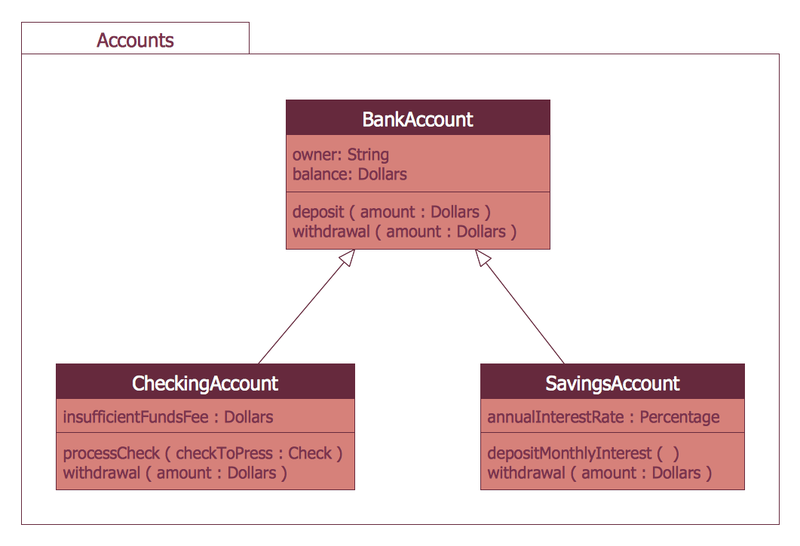 "The class diagram is the main building block of object oriented modelling. It is used both for general conceptual modelling of the systematics of the application, and for detailed modelling translating the models into programming code. 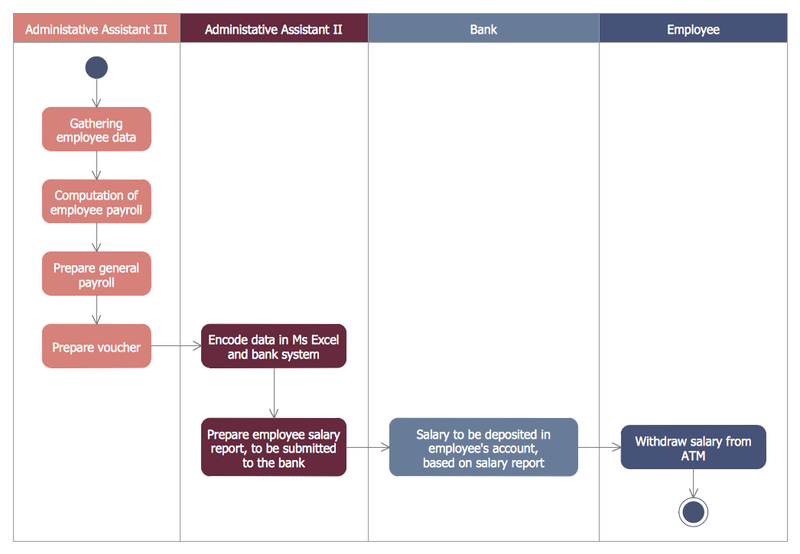 Class diagrams can also be used for data modeling. The classes in a class diagram represent both the main objects, interactions in the application and the classes to be programmed. * The top part contains the name of the class. It is printed in bold and centered, and the first letter is capitalized. * The middle part contains the attributes of the class. They are left-aligned and the first letter is lowercase. 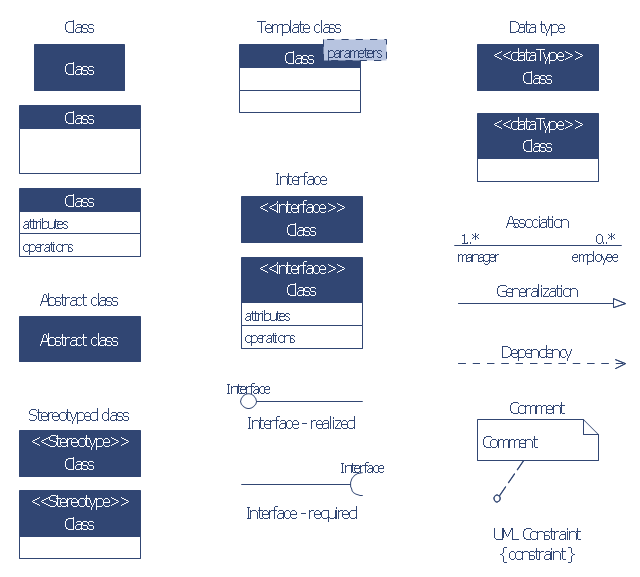 * The bottom part contains the methods the class can execute. They are also left-aligned and the first letter is lowercase.